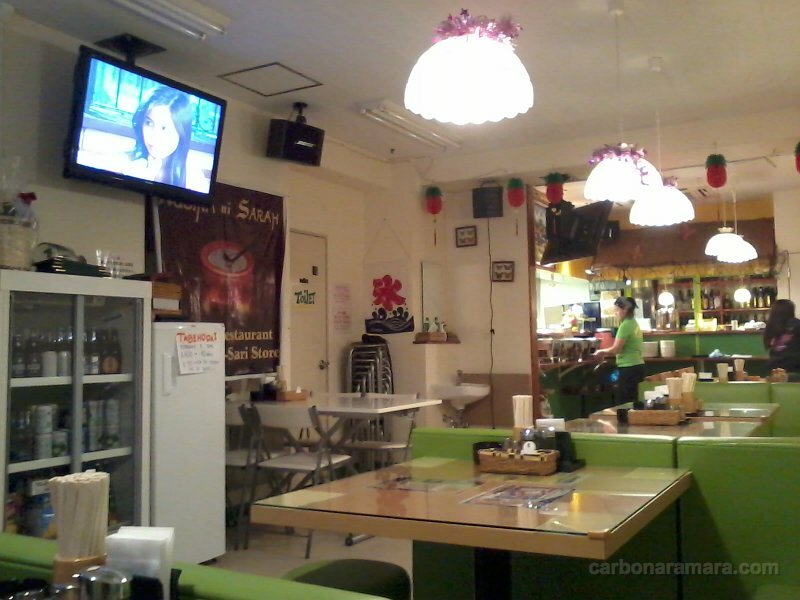 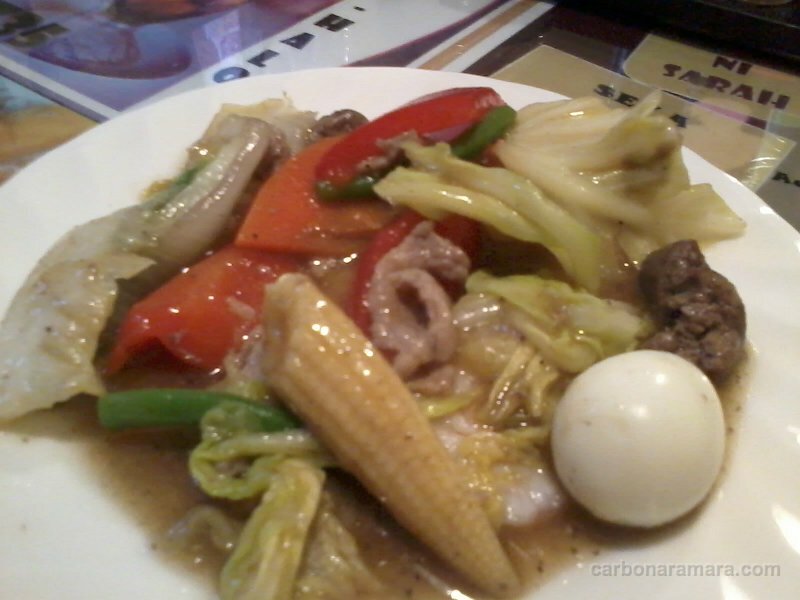 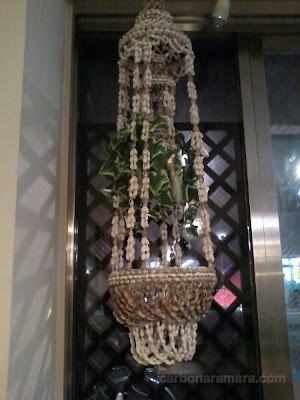 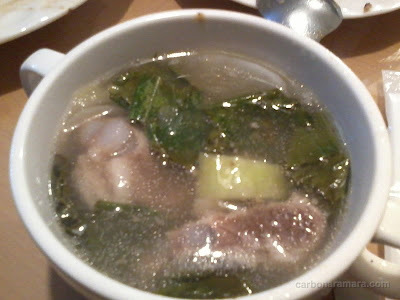 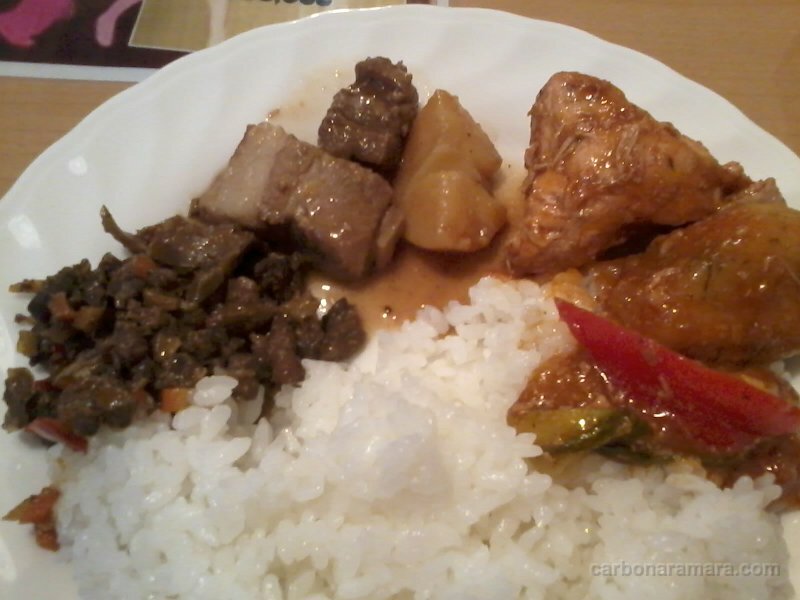 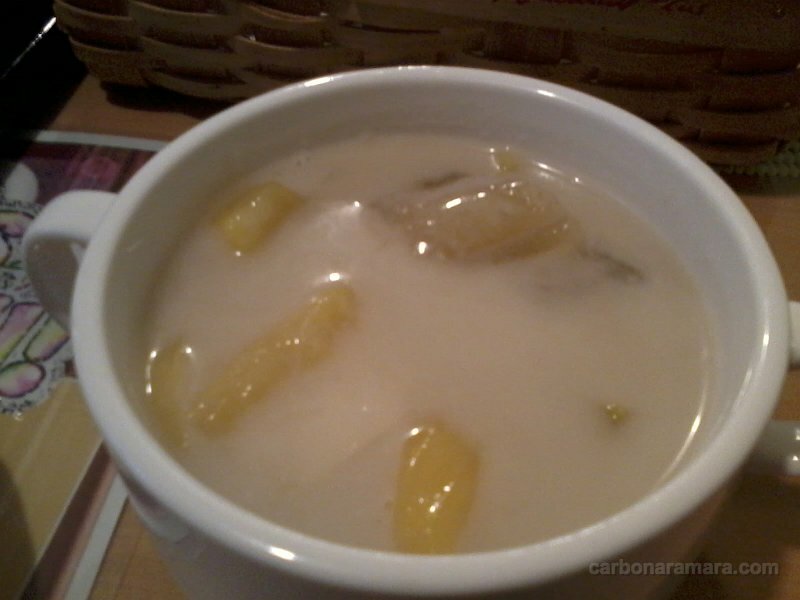 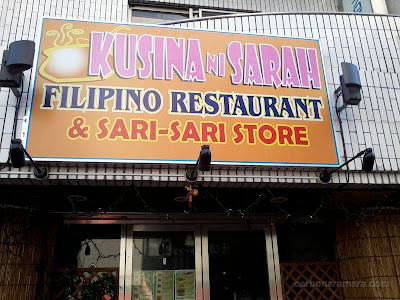 For date night last Sunday, we had early tabehodai dinner at Kusina ni Sarah, the only Filipino restaurant in Atsugi. 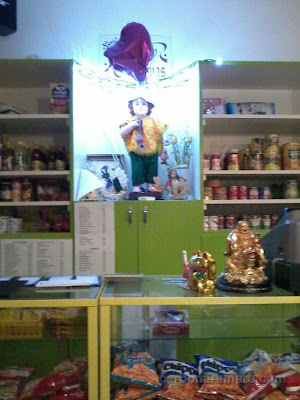 Mass had just finished a bit past 4:00 p.m. and after some chika-chika with friends, we went straight to the restaurant, which was just a few minutes' walk from the church. Tabehodai is every 1st & 3rd Sunday of the month, and starts at 5:00 p.m.
We got there a bit early but were allowed inside already so we just spent the waiting time watching television (some Filipino telenovela was on TFC) and taking photos. 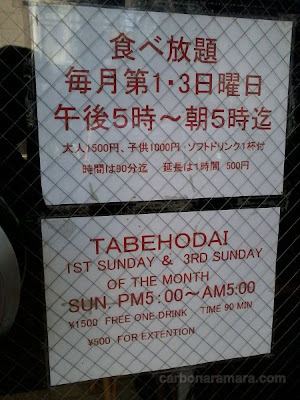 The ¥1,500-for-90-minutes tabehodai (all-you-can-eat) set featured 5 ulam (viands), white rice, dessert, and 1 complimentary glass of any non-alcoholic drink. 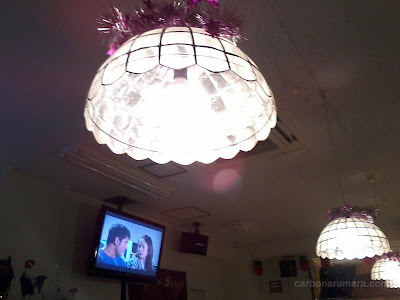 (I got orange juice; Ronjie had Coke.) That evening, they had bopis, chicken-pork adobo, chicken pochero, chopsuey, and pork sinigang. 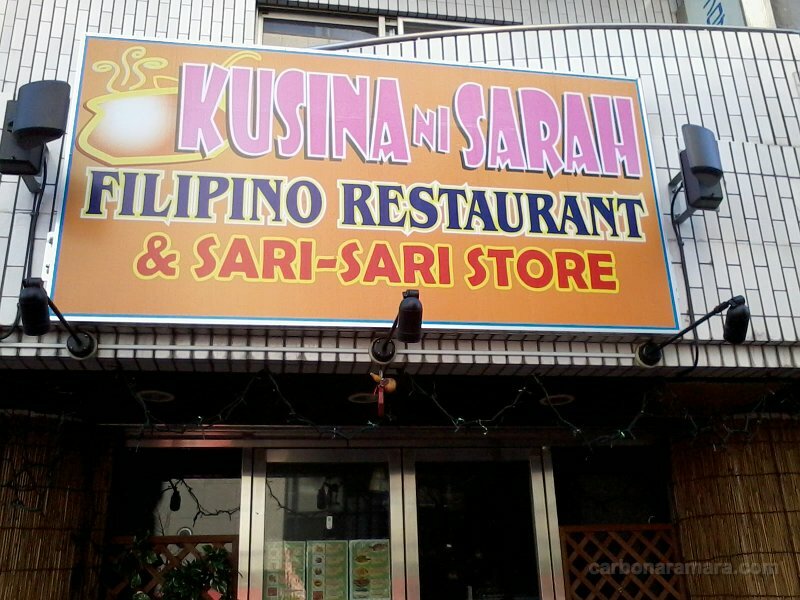 Kusina ni Sarah is not just a restaurant; it's also a sari-sari store. They sell all sorts of Filipino food items--condiments, junk food, bottled and canned stuff, frozen meat, fresh fruits, etc.--and non-food items (I saw rubbing alcohol and J&J baby oil, among others). 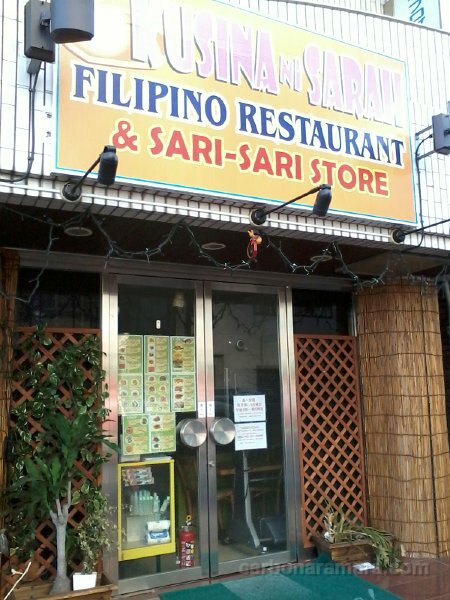 Paluto and orders for take-out are also accepted!